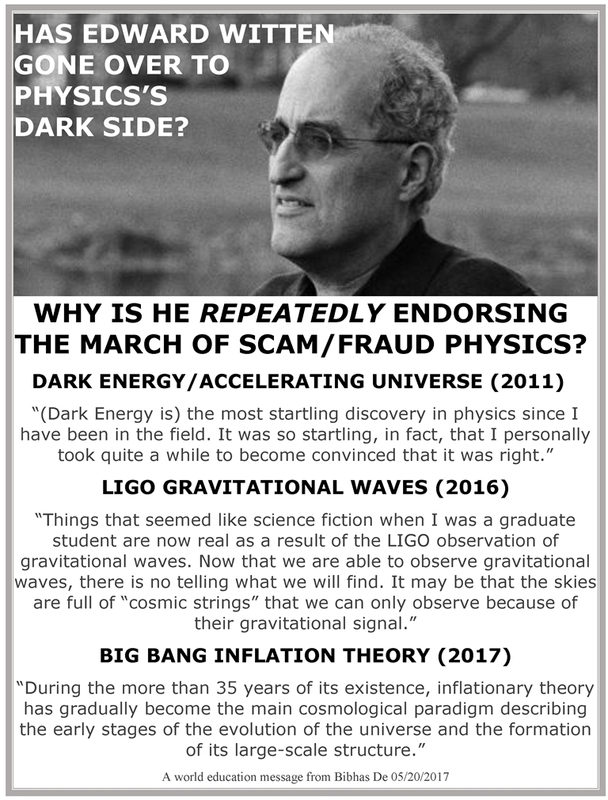 HAS EDWARD WITTEN GONE OVER TO THE DARK SIDE? 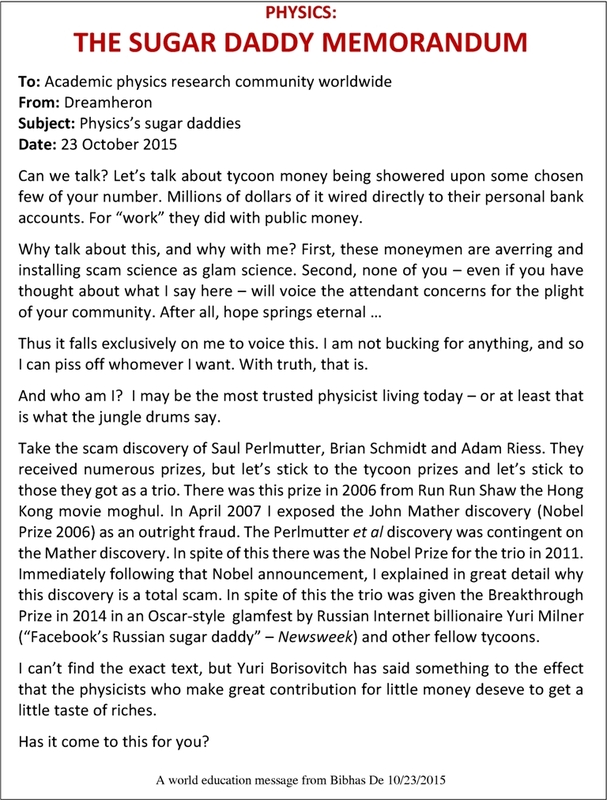 It is one thing to spend a lifetime in physics limelight and not be able to advance the field one iota. It’s OK. It is another thing to use that limelight to prevent progress. 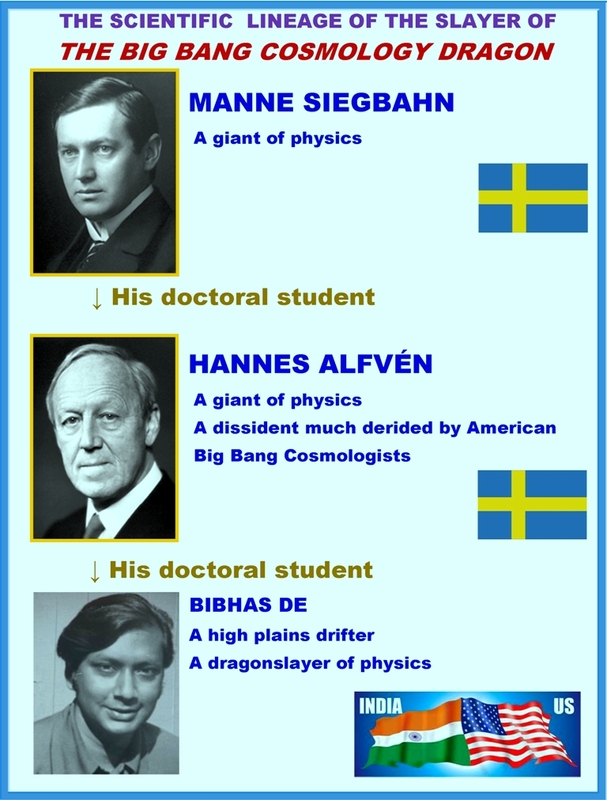 This is not OK.
Q: And just who the heck is Bibhas De to rewrite the history of physics?! 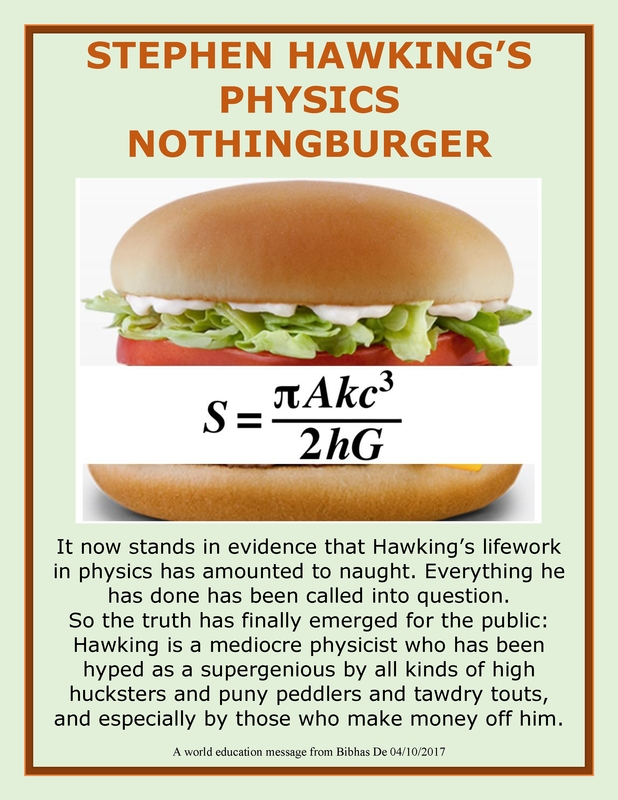 A: He is a student of a giant of physics who was a student of a giant of physics. Q: OK. But where are the reports of his investigation? A: Here and here. Also read through the posts in this blog. 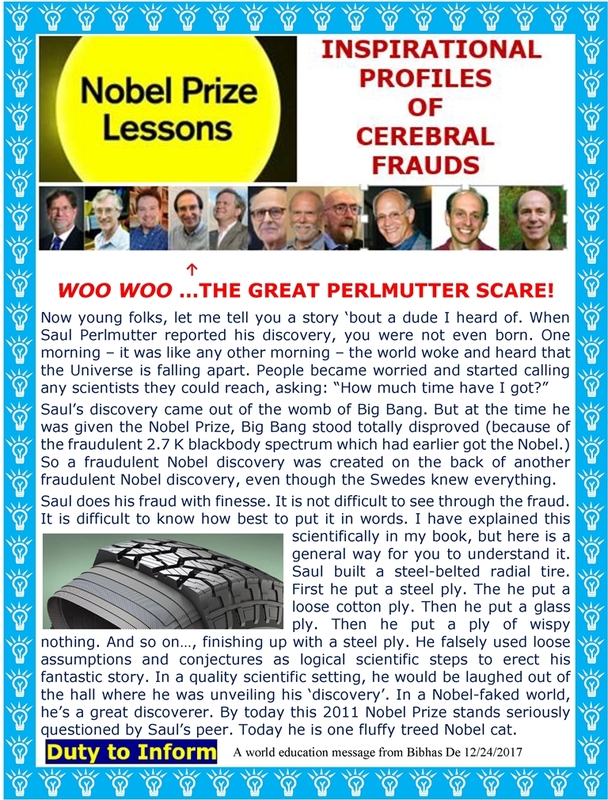 Recently a group of scientists has claimed that the discovery (2011 Nobel Prize for physics) that the expansion of the universe is accelerating is not valid. Other scientists are opposing this new finding. 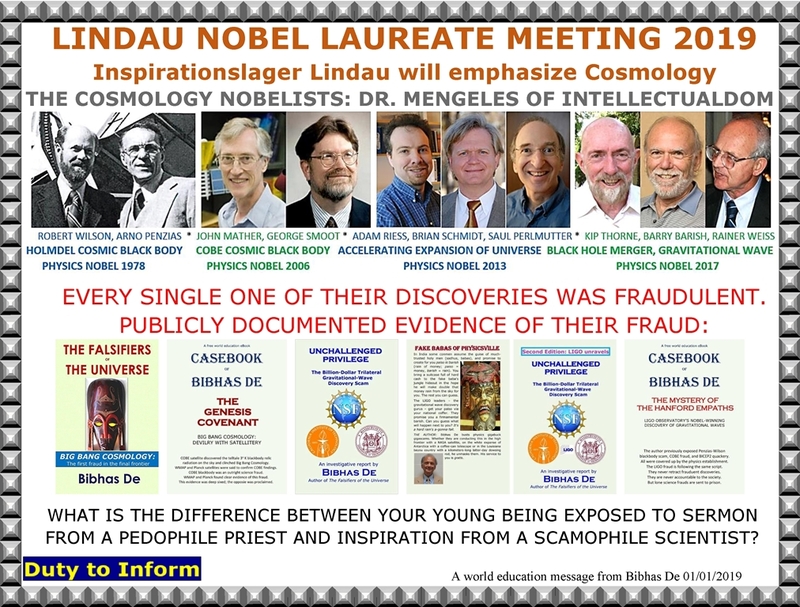 The former group claims to have done better statistics with a larger sample base. This is a totally superfluous exercise. It is first of all beating a dead horse. But worse yet, it is creating somehow the impression that may be the horse is actually not dead, and needs to be shot. And if instead of shooting the horse the scientists shoot themselves in the foot, the net impression that will remain is that the horse is alive. 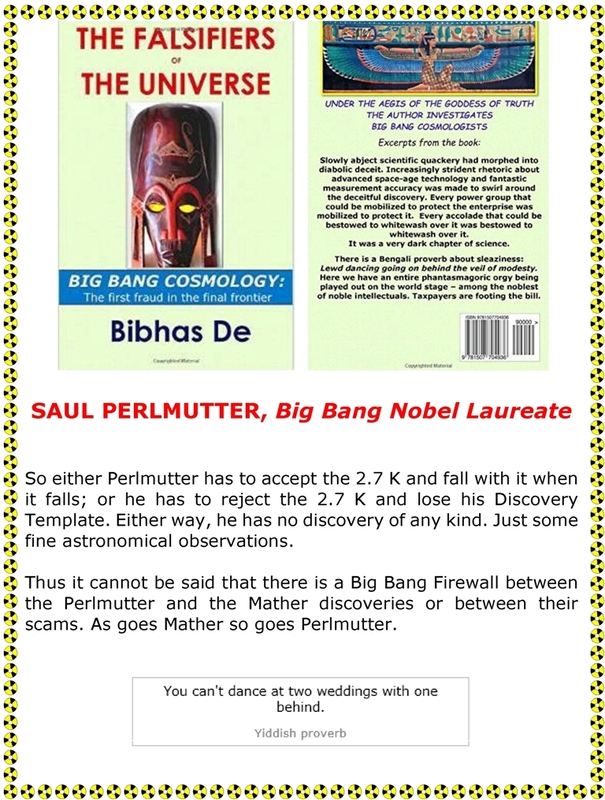 The discovery was and is totally bogus for science (not statistics) reasons I explained here in this blog site back in 2011, and later in my book The Falsifiers of the Universe. 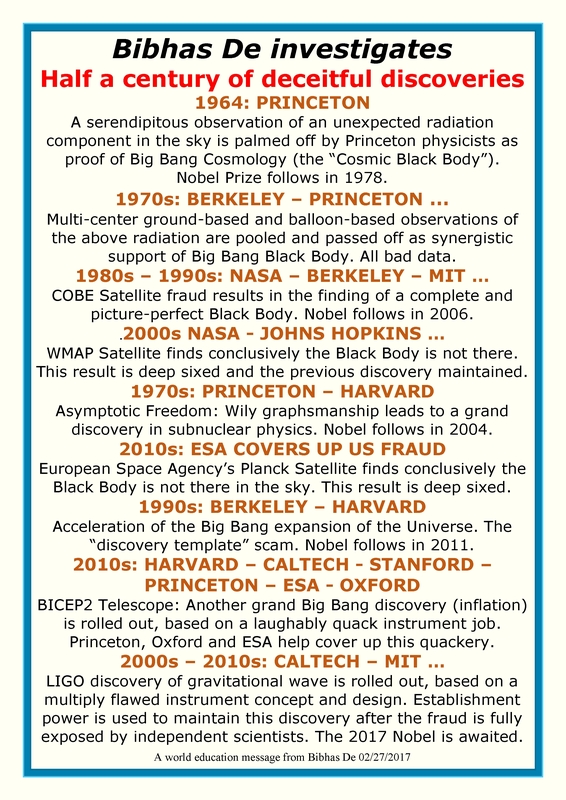 To try to disprove that false discovery with new statistics is like raising holy hell to try to dissolve the USSR. As I have said before, this scientific establishment has gone to seeds. There is a Bengali proverb: What do idle folks do? They mix together wheat and chaff, and separate them again. For the Blackbody communal diagram, please go here. 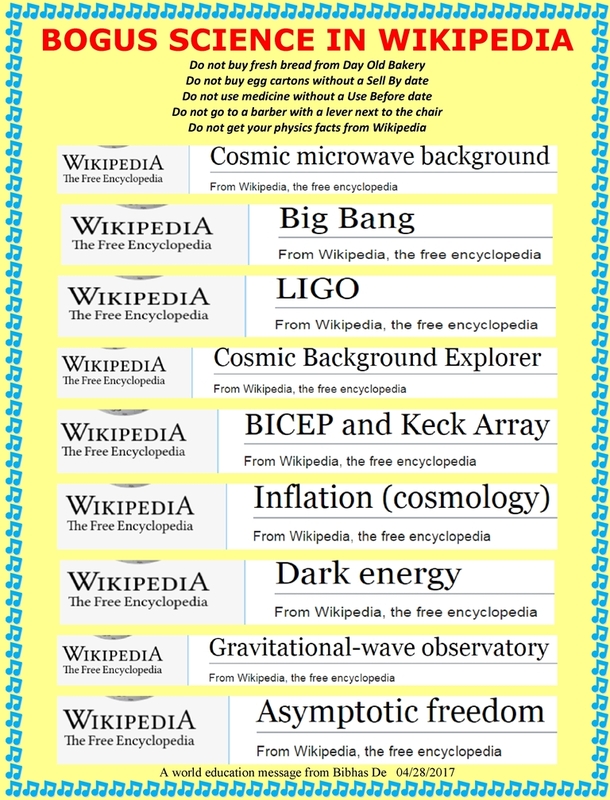 For a gist of the accelerating universe diagram, please go here. For more, go to my book. For the asymptotic freedom communal diagram, please start here.